PHOENIX -- In Phoenix, investigators say they found feces piled nearly a foot high in a suspected animal hoarder's home. Neighbors called authorities because of the noise and smell coming from the house. 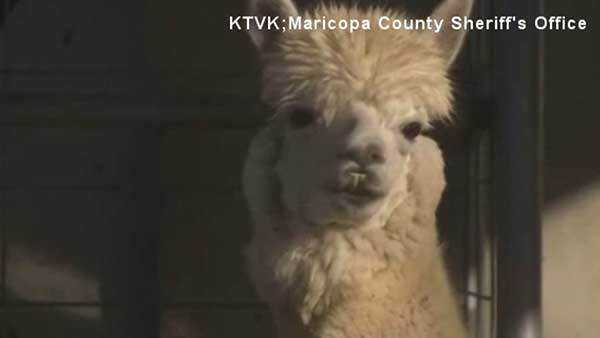 Authorities arrived to find more than 100 animals crammed onto the property, including zebras, alpacas, farm and domestic animals. One neighbor says the woman's intentions were good, but the outcome was horrific for those living nearby. "Unfortunately, I mean, bless her heart, everybody wants to, I mean everybody has a soft spot for animals. But you can't -- that just doesn't work, and it's not fair to your neighbors. It ended up not being fair to us as neighbors for what she was doing, and I'm relieved," said neighbor Al Caylor. The woman who owns the animals could face felony charges.